Home > SavingStar eCoupons > New SavingStar & Upromise eCoupons: Charmin, Kraft, Ziploc & More! New SavingStar & Upromise eCoupons: Charmin, Kraft, Ziploc & More! New SavingStar and Upromise eCoupons are now available! The first set of coupons can be found on both SavingStar and Upromise. If you are want two of any of those item, you can take advantage of both programs and double your savings! The last two sets are exclusive to those sites. 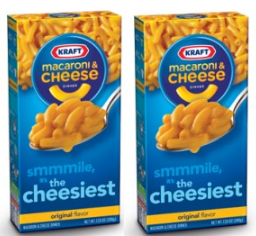 I’m excited about the new Kraft macaroni & cheese deal on SavingStar! You can purchase in separate shopping trips and you have until October 10th! New to these programs? See these previous posts to find out how to get started on SavingStar and Upromise.